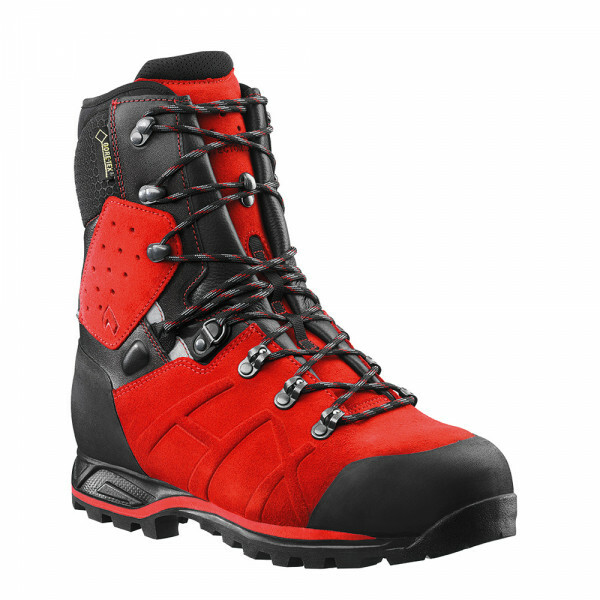 In optical terms, the HAIX Protector Ultra Signal Red is a highly striking new addition to the safety boot market. This new and innovative leather forestry boot provides both the highest degree of comfort of wear and the security of Class 2 Cut Protection. The Protector Ultra Signal Red conforms with all the professional requirements stipulated by the German Forestry Advisory Board as well as fulfilling HAIX’s commitment to quality in every way. 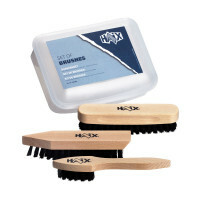 The new HAIX Protector Ultra Signal Red model is impressively stable and light. A soft and close-fitting sleeve gently envelops the foot and prevents sawdust or dirt from getting into the boot. Work boots are often worn all day long by people who perform heavy work. This applies in particular to the forestry industry. Perfect fit is therefore a must. Functional boots from HAIX are designed according to orthopaedic criteria and therefore protect the health of the wearer. Thanks to its two-zone lacing system, the HAIX Protector Ultra Signal Red can be adjusted to different tightnesses around the foot and the calf areas to provide a perfect fit. An antibacterial, moisture-repellent inlay with a separate heel cup further enhances the shock absorption properties of the boot and ensures outstanding toe-to-heel movement. The Protector Ultra Signal Red features a stable VIBRAM® sole manufactured in HAIX’s special rubber compound. This guarantees maximum grip, even when temperatures fall below zero. The leather used in the manufacture of the boot is both watertight and highly breathable, and an integrated steel toe cap offers the security of Class 2 Cut Protection. The highly breathable GORE-TEX® inner lining used in the new HAIX Protector Ultra Signal Red provides maximum climate comfort and total protection against mositure in any weather conditions.